Die LIFEBOOK T Serie macht Sie in mobilen Situationen produktiver und definiert mobiles Arbeiten neu: Auf dem Weg zu einem Termin erhalten Sie eine Präsentation oder Sie machen sich Notizen in einem Meeting. Dabei haben Sie die Wahl: schreiben Sie mit dem Stift oder der Tastatur. There are only a handful of systems that make the grade when it comes to convertible tablets. 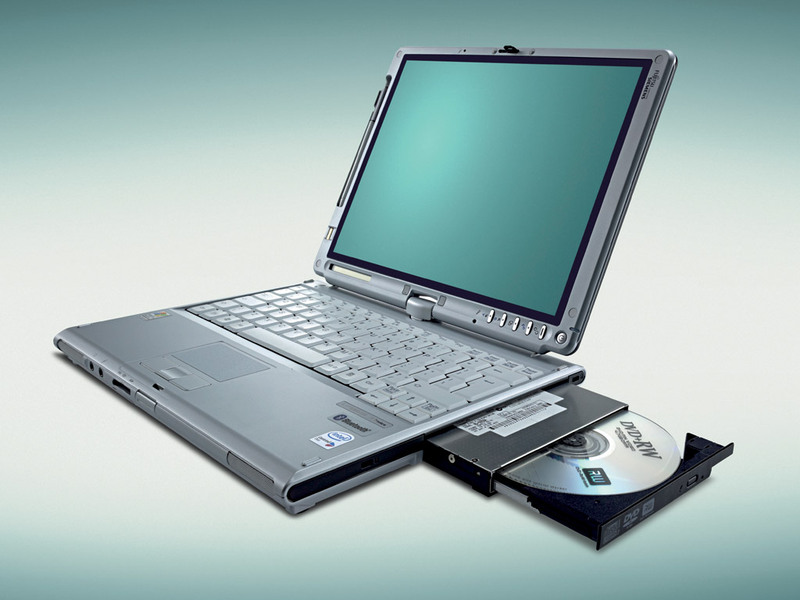 With its combination of portable frame, built-in optical drive, and dual-core processor, the Fujitsu LifeBook T4210 ($2,349 direct) passes with flying colors. It's the sort of system that makes sense to have in your daily life, whether you're picking up the digitizer pen to sketch on the screen or flipping the screen around to type on the full-size keyboard. Weighing a mere 4.7 pounds, the T4210 was small and light enough for me to carry on my daily commute, unlike the Gateway M285-E, whose 14-inch display made it too big to lug around the city. 70% Fujitsu’s latest dual-core convertible is fast and light on its feet. Fujitsu’s long-running LifeBook series of convertible PCs has always enjoyed strong ergonomics and good weight-performance ratios, squeezing a fair amount of speed and functionality into tight packages. The company does not stray from its reputation: All of the familiar strengths and weaknesses of the Fujitsu line continue in this latest iteration, the T4210. Like other recent LifeBooks, the T4210, a 4.3-pound system with a 12.1-inch display, has an exceptional keyboard for its size. The layout is extremely spacious, with full-sized Shift and Backspace keys. With the design of a notebook, the flexibility of a tablet and your choice of three Intel Core Duo Processors and two diff rent screens the the Fujitsu Lifebook T4210 has something for everyone. The Bi-Directional Hinge for the screen makes the T4210 the best choice around for those who need to share the screen with others on a regular basis. The ease of use of the Fujitsu Lifebook T4210 make the Tablet PC user experience as easy and friendly as possible and the available accessories make it an excellent choice for users in any setting. The Fujitsu T4210 is an exceptionally fast, high-performance Tablet PC in a small package. While we would prefer the "indoor" display option, the T4210 has been a pleasure to use. With its acceptable "real world" standard battery life, top-grade build quality and exceptional built-in security, the T4210 can make a great choice for the mobile professional and student alike. By taking the money you might put towards the indoor/outdoor display option and purchasing the modular bay extended battery instead, you would have a wonderful Tablet PC. Fujitsu's unsurpassed support and quality are a considerable part of the package that all consumers should be aware of.